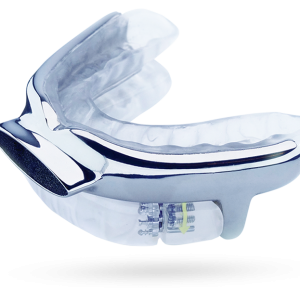 O₂Vent devices are customized to fit each unique individual and designed with Oventus airway technology. 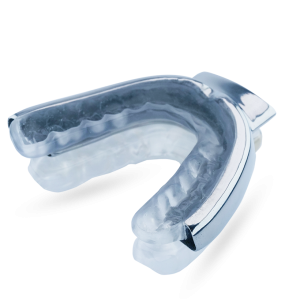 The ‘W’ is a slimline winged-style device that uses a dual mechanism to stabilize the jaw and move it forward without locking the upper and lower jaw together. The ‘T’ device connects at the front before you insert into your mouth. You can titrate your lower jaw forward to a comfortable range that further opens your airway.